Samples of the local sweet potato and black bean salad! 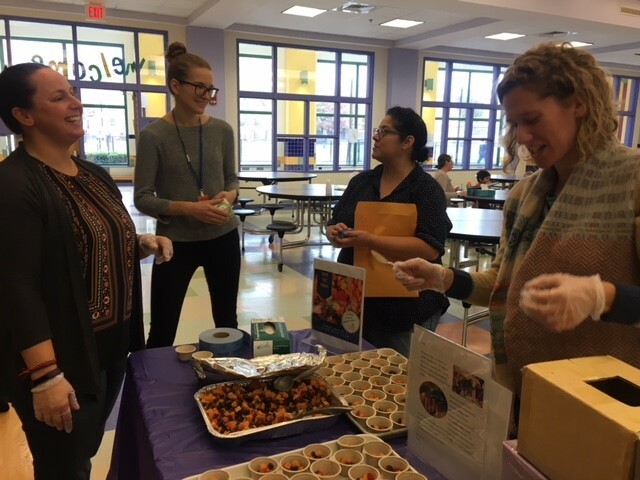 This month, thousands of elementary students throughout the district explored sweet potatoes through taste-tests offered during their lunch periods by the Somerville Farm to School Program and Drumlin Farm. Working in partnership with Drumlin Farm, who runs afterschool programming and supplements produce for our salad bars during the growing season, the November taste-tests are part of the district’s food literacy campaign to increase the acceptance of new, fresh foods and create new recipes for the lunch menu using local ingredients. 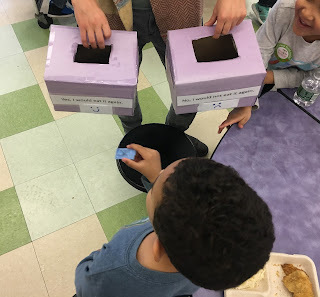 We are thankful for the many parent volunteers who helped hand out samples and collect data. So what did the data say? 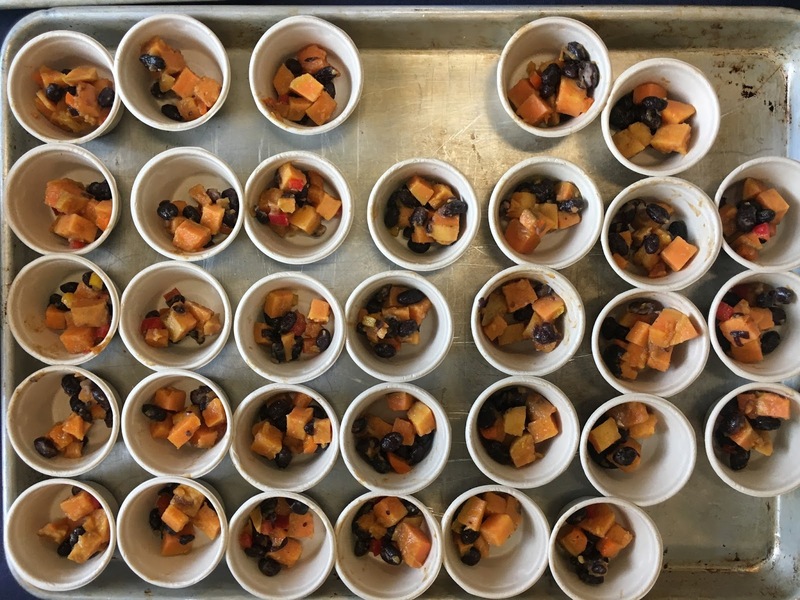 Of the 2,000 students who voted after trying the delicious sweet potato and black bean salad, 61% said they would eat it again. Because so many students at least tried it, we call that a win! To those who said it wasn't their favorite, we urged them to explain what they would change about it. We heard answers such as, "I would eat it if it didn't have the little red things (peppers)", "it's weird that it was cold" and "nothing". A Capuano student casts his vote! 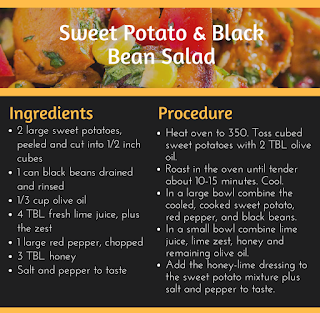 The recipe was inspired by the Island Grown Schools Farm to School program in Martha’s Vineyard. 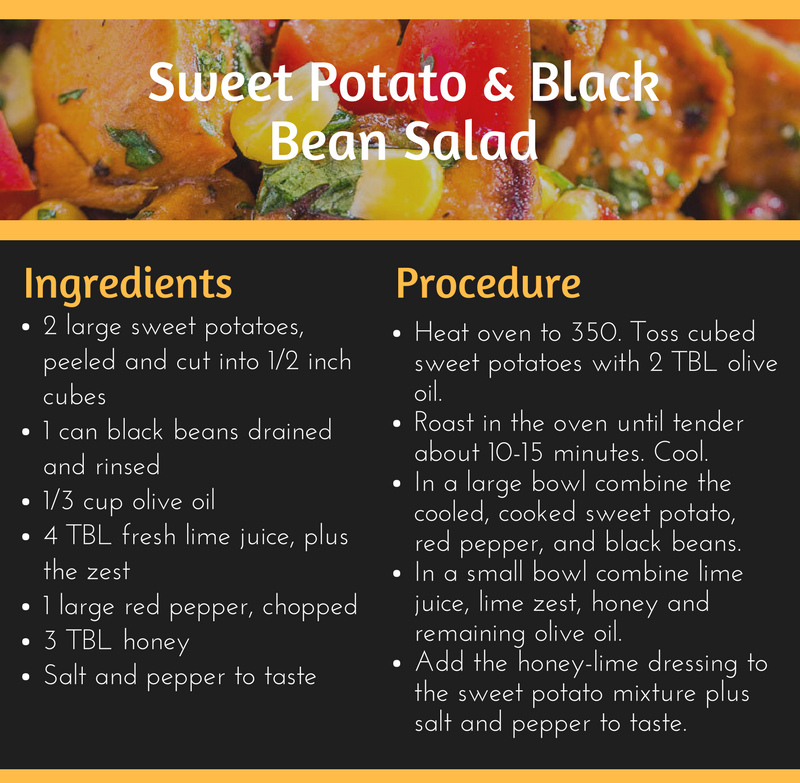 We’ve included the recipe so you can try it out too! For our final taste-test of the month, we had a special visitor, State House Representative Christine Barber, visit Winter Hill Community School to observe and participate in our local food taste-test! 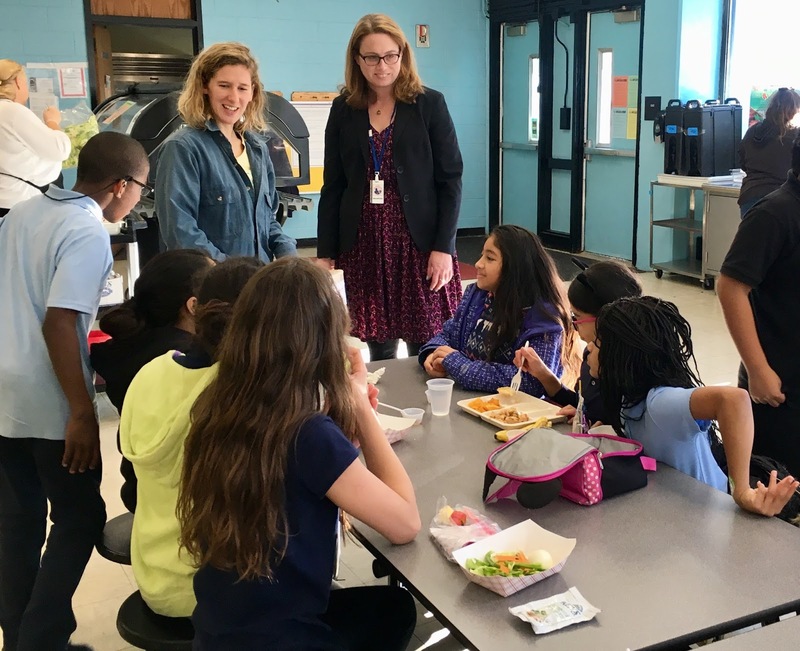 Representative Barber is a Farm to School supporter and we were honored to have her visit and see first-hand the impact our project is having on the community. For those of you wondering, Christine voted in favor of the sweet potato salad! Hear, hear! 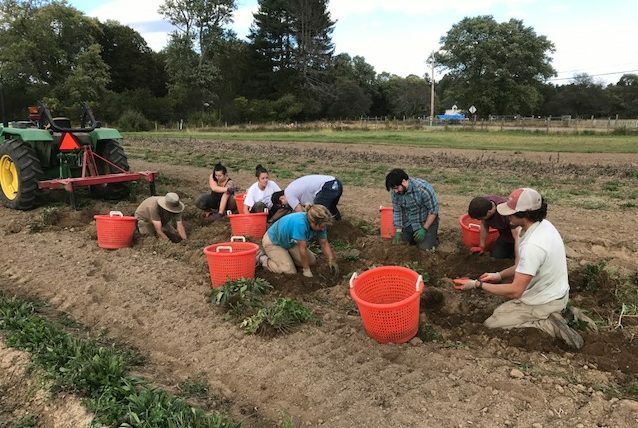 Drumlin Farm staff harvest sweet potatoes destined for Somerville schools.